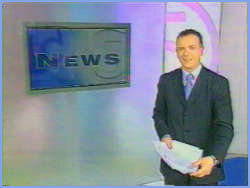 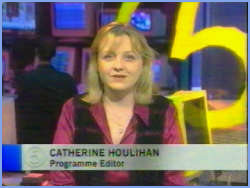 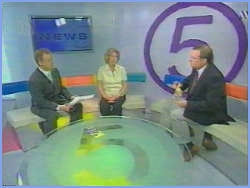 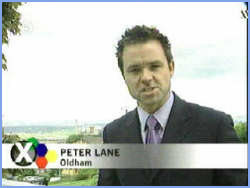 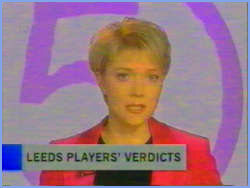 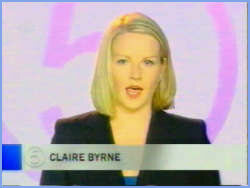 In January 2000, after Kirsty Young's departure, Andrea Catherwood arrives with a new all white look 5 news. 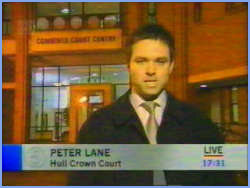 A headline aston, normal aston with "Live" tag and conducting a two way interview from the studio. 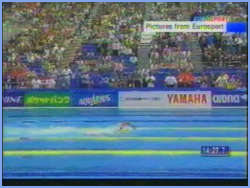 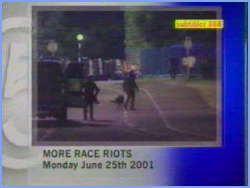 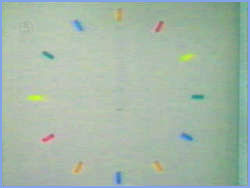 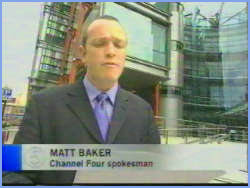 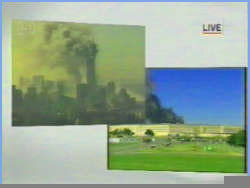 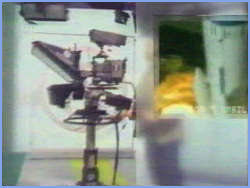 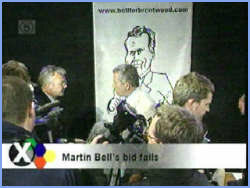 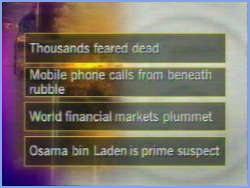 A full screen graphic, presenter aston and split screen showing two live pictures (from September 11th). 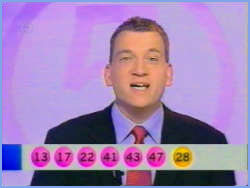 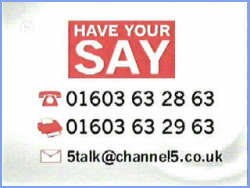 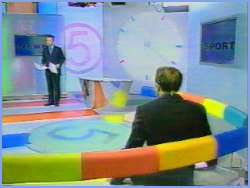 The 'soft' area of the studio, 'Have your say' full screen graphic and Lottery numbers aston. 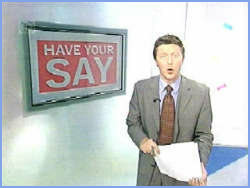 Charlie Stayt explaining how to "Have your say, a 'Pictures from' aston, and full screen sport graphic. 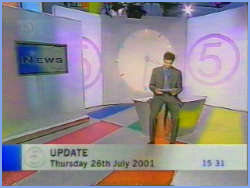 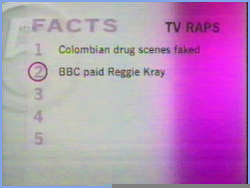 "5 facts" graphic, normal aston and Update aston (shown at the start of a news update). 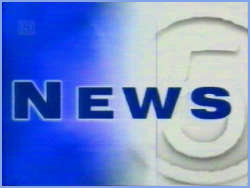 End of a 5 News update, full screen 5 News logo (taken from "Core News" on Saturday's) and a quick look at the main program later from the newsroom. 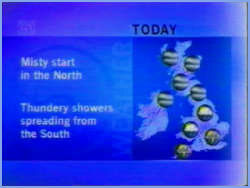 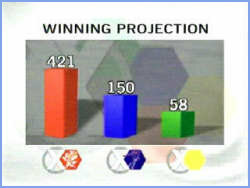 Another election aston, election full screen graphic, and the weather graphics from an update. 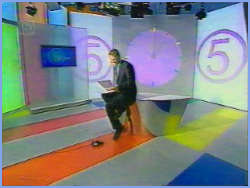 A full shot accross the studio, Rob Butler by the screen, and an election aston.